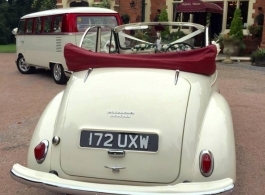 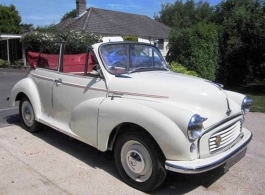 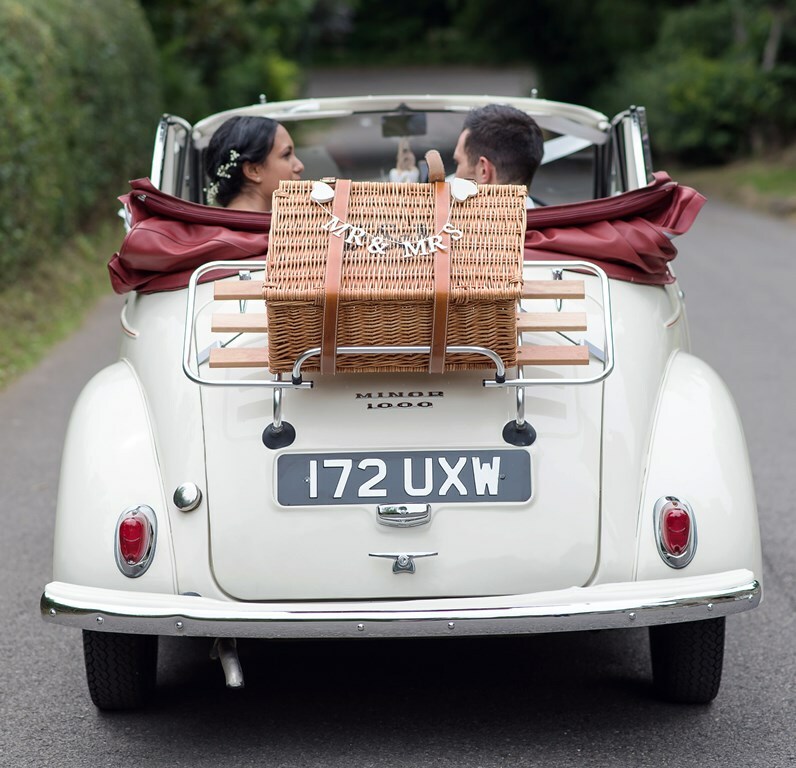 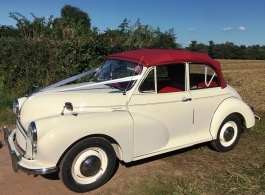 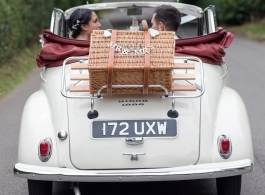 A classic 1961 Morris Minor Convertible available for wedding hire. 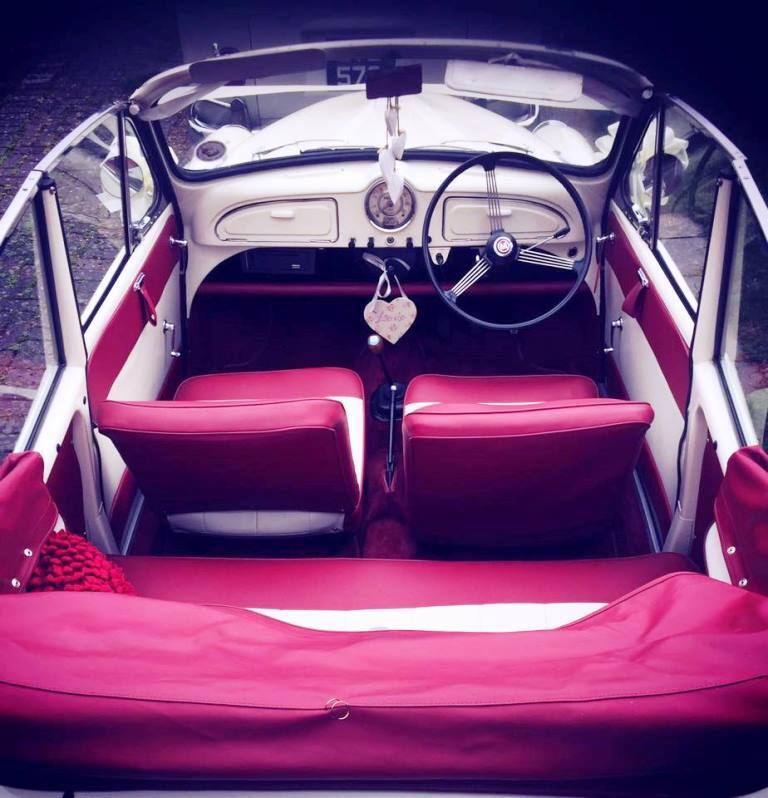 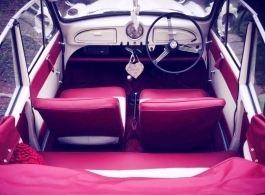 This unique Morris Minor is beautifully presented in White with a gorgeous Red leather interior and is a car that all Brides and Grooms absolutely love to arrive in at the church and / or wedding venue. 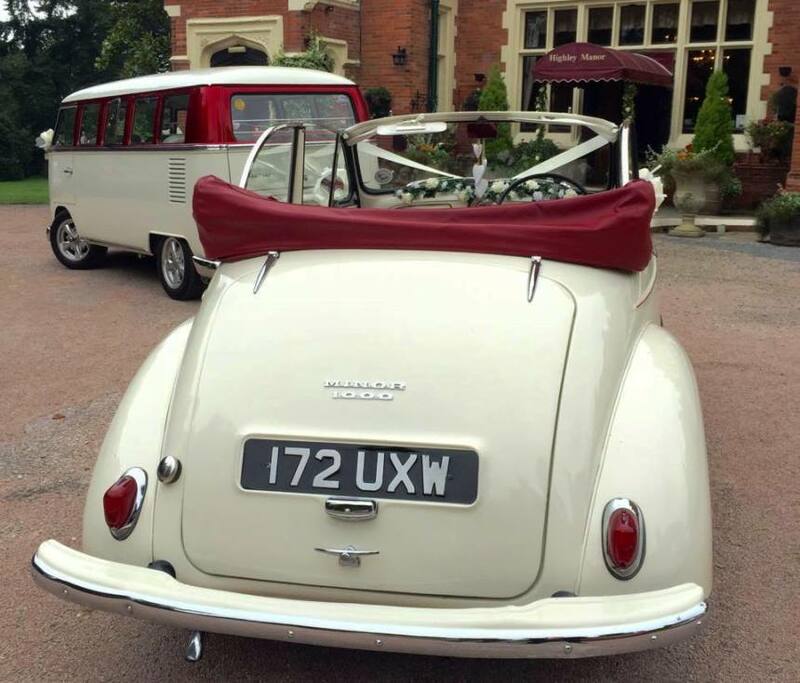 Please note that this classic car also looks superb alongside the White & Red VW Campervan (vehicle code 0020).